Nearly a hundred guests met at the Crowne Plaza for the 2018 Annual Scholars Recognition Dinner meeting. 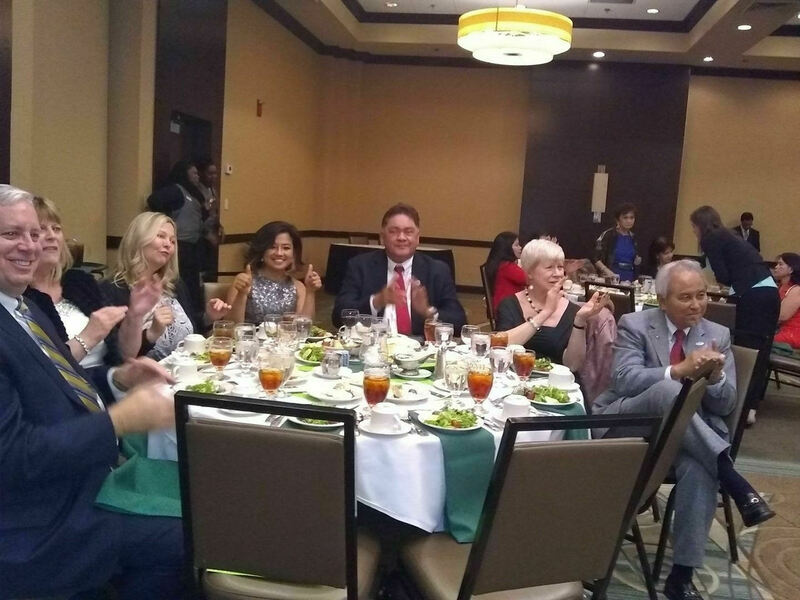 The guests included keynote speaker John Broderick – President of ODU, Dr. Aaron Spence – VBCPS Superintendent, Council Lady Rosemary Wilson – former Club member, Jim Spore – former City Manager and current President of Reinvent Hampton Roads, and senior leadership staff from VBCPS, high school principals, Gifted Programs staff, the 2018 awardees and finalists, the 2019 class of “Baby Brickells,” and their families. John Broderick, the 8 th President of Old Dominion University, spoke to the attendees about the importance of believing that one person can make a difference in the world, becoming a leader, and leadership qualities and tips. Dr. Spence followed, and described the origin and purpose of the Richard A. Schlimgen Student Leadership Memorial Scholarship. He then described the incredible accomplishments of the 2018 awardee, Abby Ramsay from Bayside High School. Following that, Jim Spore spoke to the purpose of his namesake scholarship - Community Service. Jim talked about the large number of qualified applicants and then announced the winner as Robert Tillman, IV from Tallwood High School. The 2018 Brickell Scholarship finalists were then recognized, and finally, the winner, Curtis Brown, Jr. from Green Run High School was honored as this year's winner. Councilwoman Rosemary Wilson read a proclamation from Mayor Jones. It essentially captured the young man’s incredible list of accomplishments and made May 17, 2018 Curtis Brown, Jr. day for the City of Virginia Beach. Mr. Brown then gave an acceptance speech that spoke to adversity and how one overcomes it can make a person who they are today. He spoke of his person challenges in younger grades that make him the young man he is today. The 2019 “Baby Brickells” were then announced, a full list to be available soon. Following dinner, President Linda introduced our program speaker, Christine Everly, Chief Executive Officer of Young Audiences - Arts for Learning – Virginia. This program first brought arts-in-education programs to Virginia in 1955. From its humble beginnings with a single string ensemble and a handful of volunteers, the organization has grown to one with more nearly 200 professional artists in various artistic disciplines. In its first decade they worked in the Hampton Roads area with the Feldman String Quartet and visited 20 schools. In the 1960’s the “Norfolk” Chapter of Young Audiences was independently incorporated and their programming increased to 90 hours per year. During the third decade, the 1970s, they hired their first professional staff and programs doubled. YAV changed its name to reflect our entire service area and became the Virginia Chapter of Young Audiences, Inc. In the 1980s, programs expanded extensively into Central, Southwestern, and Northern Virginia, as well as North Carolina and West Virginia. During this productive decade, their board of directors elected to change their name to Young Audiences of Virginia, Inc. In the 1990s, the organization expanded significantly and were doing over 900 hours in schools throughout the state. As part of a national network, Young Audiences, Inc. received the National Medal of Arts, which was presented by President Bill Clinton to one of their national board members, Yo Yo Ma, at the White House. During this critical decade of our history, they began to integrate programming fully into the Virginia Standards of Learning mandated by the State Department of Education. Now, over 63 years old, they are proud to say that they have impacted the lives of over 10 million Virginia students in the past 60 years. A significant diversification of their programming in the past few years includes the creation of year-round after school residencies and a deepening of their ability to fully integrate the arts into curriculum. 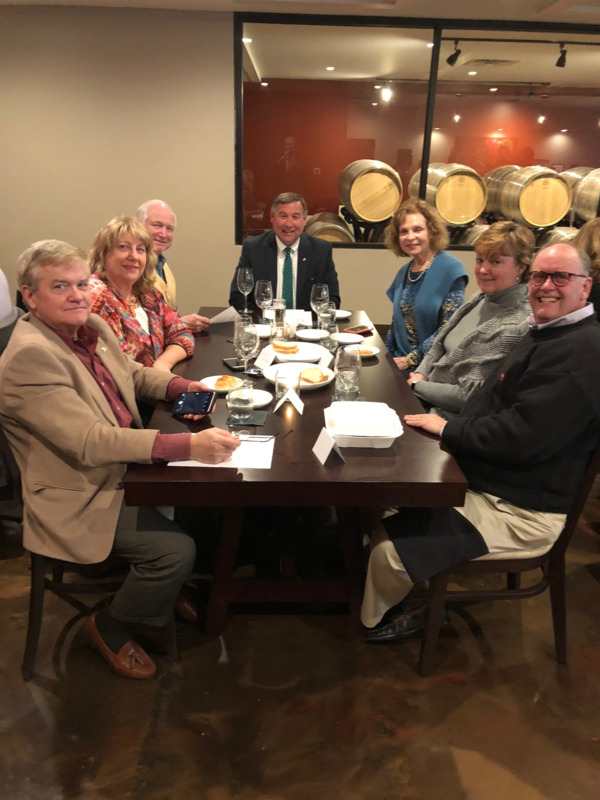 Locally, the organization is being supported by the Norfolk Rotary Club and members were encouraged to participate in their fund-raiser, Suds & Buds. 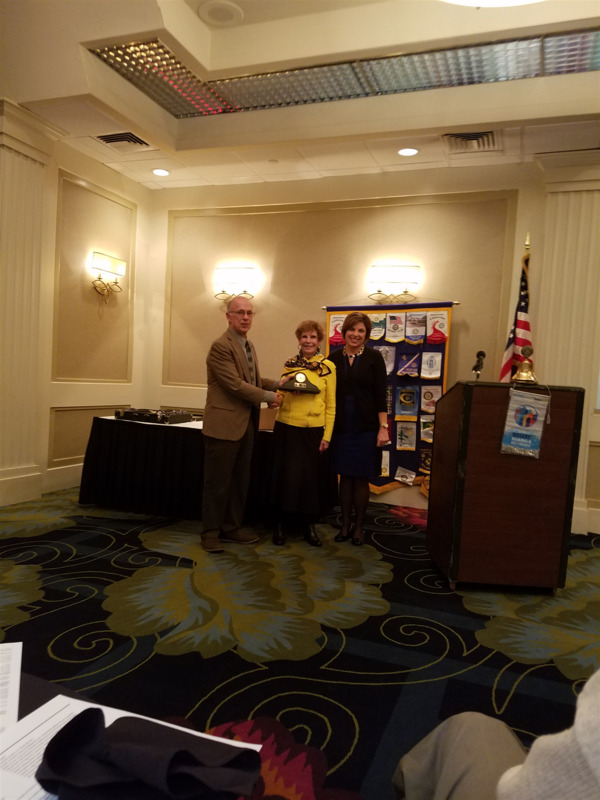 It was two weeks of “road trips” for our Rotary Club. The first trip was to the Old Dominion University Planetarium on April 26 th . Seven (7) Club members and their significant others as well as 8 other guests all made the trek to Old Dominion University to see a planetarium show at the Pretlow Planetarium about Black Holes. The 40-foot domed planetarium is used by the introductory astronomy classes and for a variety of public presentations. Shows utilize a fully digital projector--the Digitalis Epsilon system--and feature 5.1 surround audio. You can click here to learn more about upcoming shows. 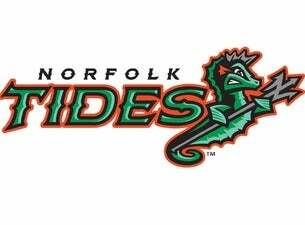 platingMichael Saunders - who began the inning on second base - to complete a furious Tides rally. Tejada followed with a single to right that scored Presley and sent the game to extras. 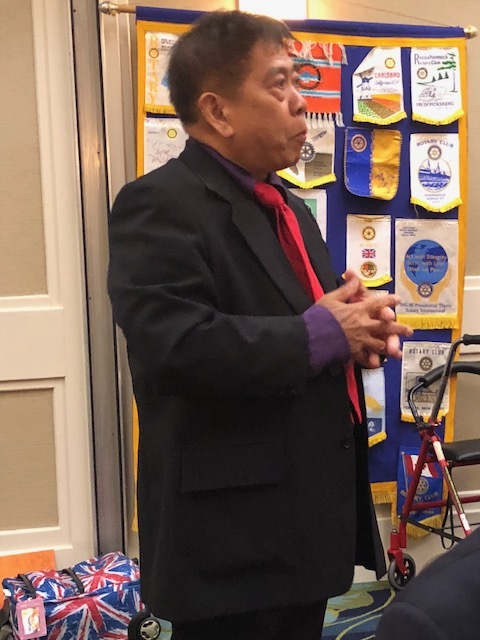 Special guest, District Governor Nominee, Clenise Platt from the Rotary Club of Hampton Roads has a rich history with Rotary, being involved in many programs, committees, and leadership positions. 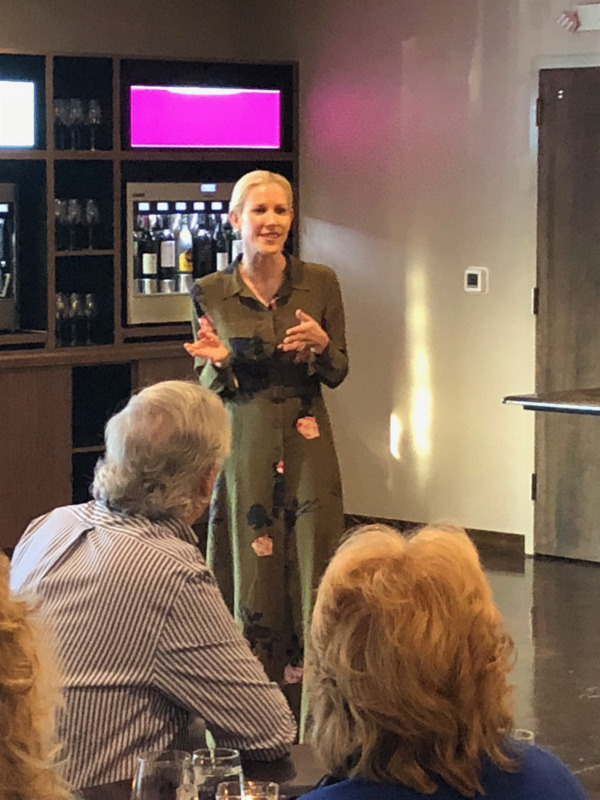 She spoke to our members about the upcoming Rotary training that will be held on Saturday, April 28 th at Virginia Wesleyan University in Virginia Beach. She also encouraged each of us to “Share your Rotary story.” It can inspire others to join. 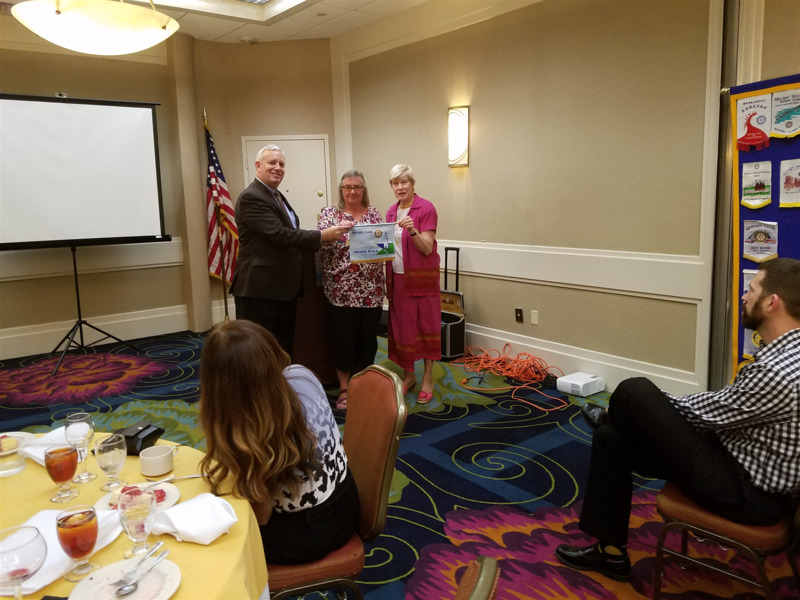 Clenise then proceeded to inducted new member, Christopher Lightner, into the Virginia Beach Rotary Club - Welcome Chris we are so excited to have you! Following that ceremony she recognized Past President Steve Owen with a Paul Harris Fellow pin—his second time! Program speaker, Clay Culbreth, founded "Soap Chips” in 2014. Soap Chips is an organization that provides showers (including toiletries, wash cloths, towels and clean socks) for the homeless. 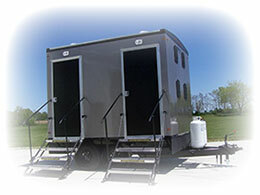 While some organizations have required $250,000 to outfit a vehicular shower facility, Clay has been able to convert an SUV into a 4-shower unit for only $20,000. At peak efficiency, his unit and his team can enable 30-40 showers in a two-hour period. During the summer, the Soap Chips team is often parked at PiN [People in Need] Ministries on 15th Street in Virginia Beach. During the winter, Clay loans his vehicle to a winter shelter on the Peninsula. He is hoping to buy a second unit and is looking for 5 Rotary Clubs to apply for a District Grant to help with funding. Clay also spends his time in commercial real estate with Cushman & Wakefield I Thalhimer. He is a past president of the Chic’s Beach Civic League and attends Trinity Church with his wife and three children. 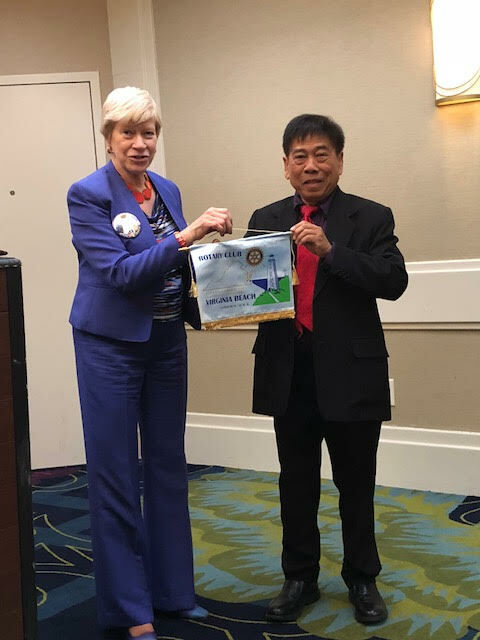 Additionally, we were visited by Melody Smith, visiting from San Miguel de Allende Mexico, who shared about her club’s program for rainwater harvesting. 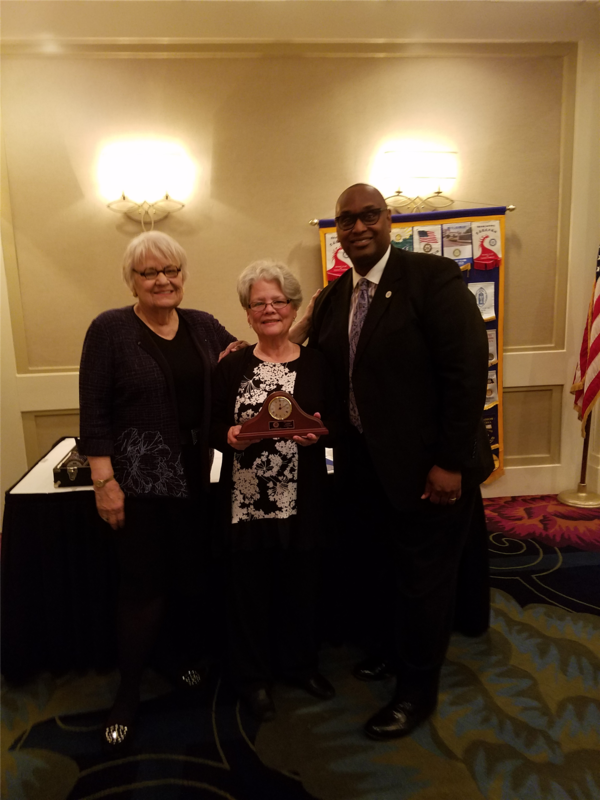 She is seen below with Rotarians Hearst Vann and Linda Griffin. Founder and Charter President of the 1st Electronic Based Global Kalinga e-Rotary Club (www.gkerc.org) under Quezon City District 3780, whose members are predominantly outside the Philippines that was chartered on October 12, 2011. Bestowed the GOLD-LEVEL SPONSORSHIP AWARD by RI President Gary C. K. Huang for an exemplary performance in chartering a new club and personally sponsorship of over 25 Rotarians from 2011-2014 during the RI Convention in Sao Paolo, Brazil in June 2015. Ernie’s primary reason for coming to Virginia Beach is to be the keynote speaker at the Gawad Kalinga Hampton Roads Gala Concert & Dinner Dance fundraising event on Saturday, March 31 followed by a musical concert by Sean Erwin Collado, a popular musician-singer from the Philippines, to raise funds to help out this village as well as some livelihood projects of the beneficiaries. Rotary members can be seen in the picture below enjoying the event. Tonight we honored two extraordinary volunteers in our community serving our city and schools. Dot Wood and Mary Russo first met to discuss a city volunteer program 45 years ago. Today, the City has enjoyed the work of thousands of volunteers, saving it residents millions of dollars each year. This year, we honor Ms. Mary Freeman as the City Volunteer of the Year. A retired US Navy Master Chief who started volunteering when she was still in the Navy, Mary now works with the homeless, mentors 1st graders, volunteers for Keep Virginia Beach Beautiful, and Save the Bay. In addition, we honor Dr. Patsy Slaughter as the Virginia Beach City Public Schools Volunteer of the Year. Patsy served as an educator for 43 years, 16 years as Principal of Trantwood Elementary School. Under her leadership, 12 years ago Trantwood achieved the national status as a “Blue Ribbon” School. Upon retirement, Dr. Slaughter’s love of children quickly drew her back into the schools volunteering at Malibu, Trantwood, and John B. Dey Elementary Schools on a regular basis. Then the current Principal of Trantwood, Elizabeth Bianchi was invited to speak. She spoke passionately about the impact Dr. Slaughter made in her career and life and further spoke of her continuing love of the children. Program speaker, Kaitlin Burket, is President of the CBDX. 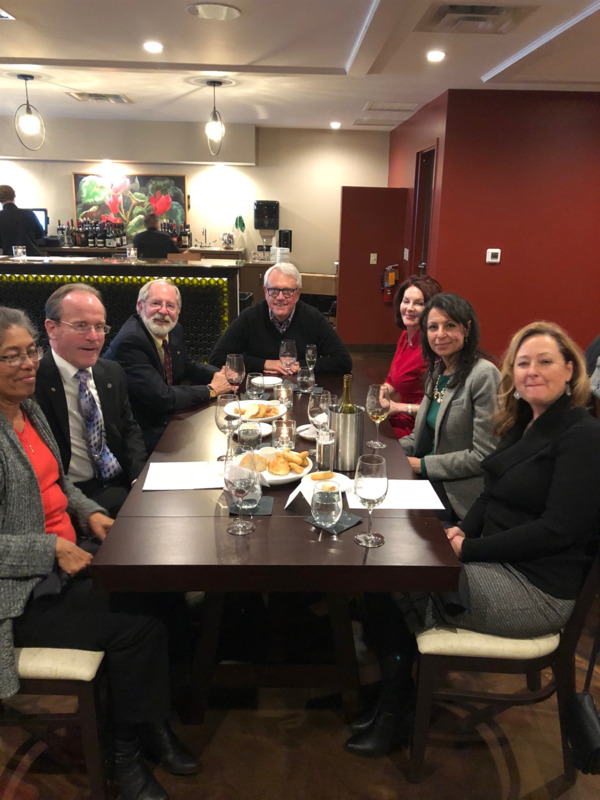 The CBDX, a division of the Central Business District Association (CBDA) of Virginia Beach, is a group of business professionals ages 40 and under charged with furthering the mission of the CBDA. CBDX is committed to encouraging involvement of the next generation of business leaders in support of local businesses and organizations, as well as creating future development initiatives targeting young professionals. 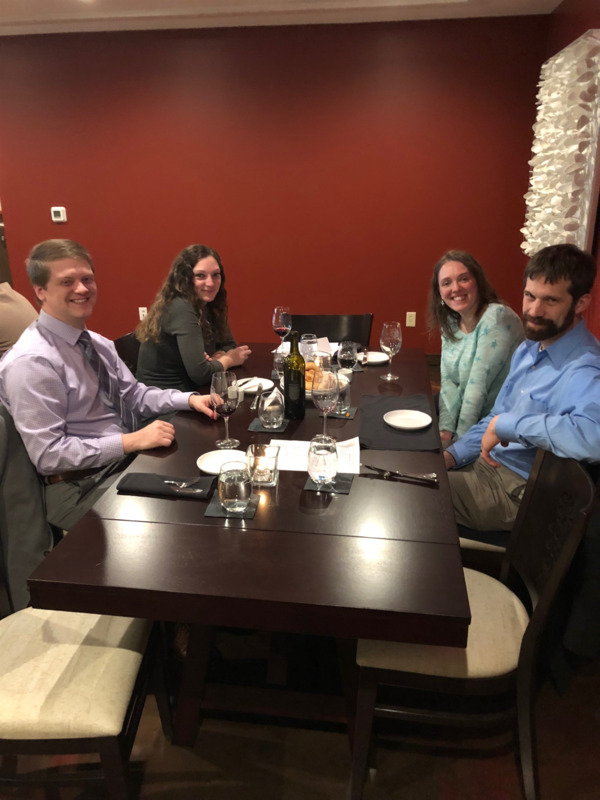 The CBDX was founded in 2009, when co-founders, Alex Divaris, Danijel Velicki, Stephen Pfeiffer and Erica Meekins Rorrer brought together a group of about 20 local, young professionals to discuss the idea of injecting a youthful presence into the Central Business District Association (CBDA). The CBDA, formed in 1986, had reached one of its major goals in bringing mixed-use development to the central business district of Virginia Beach. As the organization began trying to shift its focus and reinvent itself to become a strong advocate for the area, they recognized the importance of involving more Generation X and Millennial professionals. 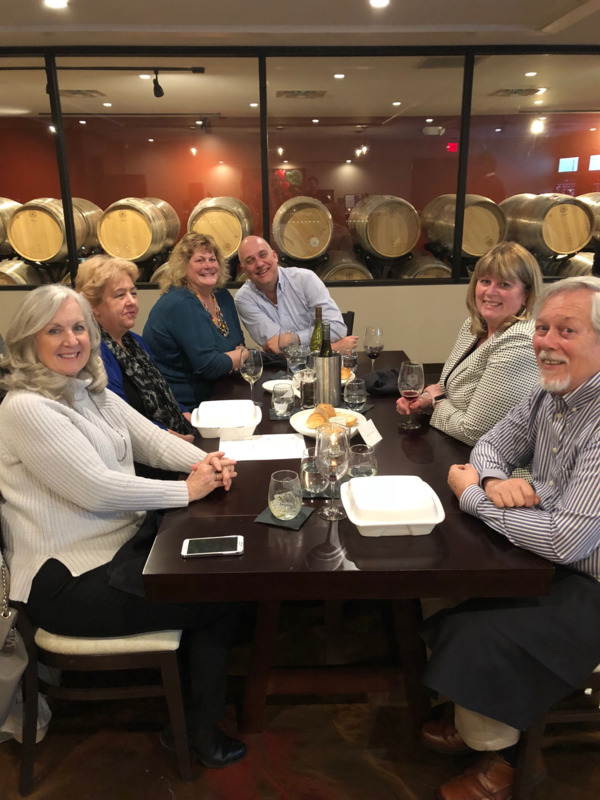 The leaders from both the CBDA and the newly formed CBDX worked together to re-energize the organization with a new purpose and continuously evolving mission. School students. 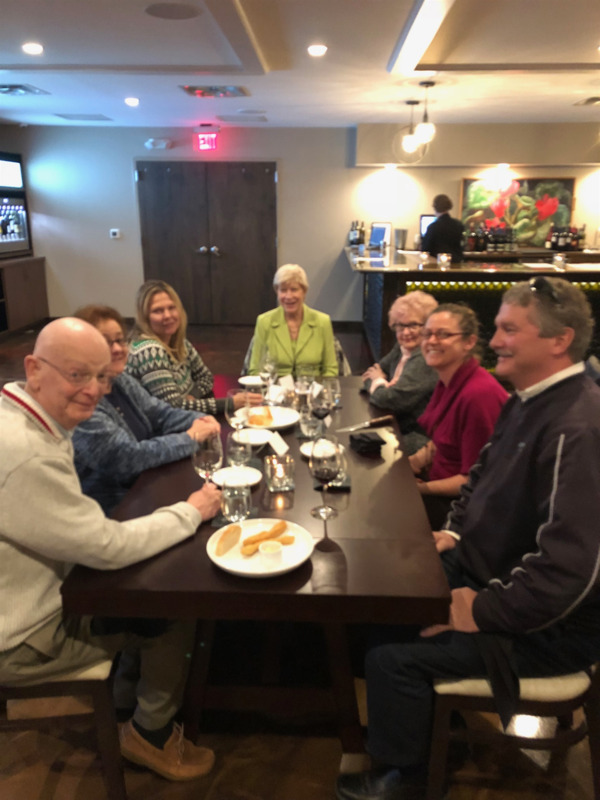 The CBDX meets monthly at the City Club in Town Center. 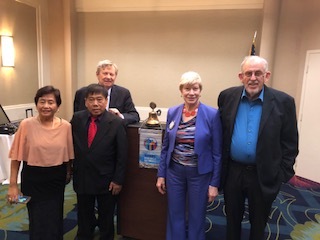 Program speakers Robert and Carol Steen are Rotarians involved in ROMAC is the acronym for “Rotary Oceania Medical Aid for Children” and is a combined Australia and New Zealand Multi District Rotary initiative. ROMAC has been in operation for over 25 years. They are assisted by many eminent Australian and New Zealand surgeons who generously donate their time for the treatment of their patients. This humanitarian program, started in 1988, has provided life giving surgery to over 500 children from more than 20 developing island countries in the Oceanic area north and east of Australia. These urgent medical treatments are not available to them in their own country. The primary costs for their services lie in the airline costs of transporting the children and their families, the operating room time, and the hospital room time. They have yet to be successful in getting any airlines to sponsor the kids to allow them to fly for free. They are still working on that. ROMAC is looking for donations to support their work. You can become a “Friend of ROMAC” for an annual grant of $500 by a Club or a personal annual donation of $100 per year. To conclude the program, we watched a video of one patient’s experience—Charlie. Born with deformed feet, his surgery allowed him to begin to walk more normally and enjoy his childhood with his friends. Program speaker Marti Jones is the Treasurer of the Circle A Home for Horses. Circle A Home for Horses is a 501(c)3 nonprofit organization dedicated to improving the lives of at-risk youth & rescued equines through paired bonding, learning and fellowship. for human consumption. The plight of these horses is inhumane—and horrific. Circle A’s goal is to save as many horses as possible from the gruesome trip to slaughter. Their horses come to them depleted, sad, starved, lame, injured, and abused both mentally and physically. They are in need of veterinary services, dental, special grain and supplements, as well as farrier work. Most importantly, they need love and compassion, and learn how to be a horse again. Circle A Home for Horses, Inc. provides farm tours and Equine-Facilitated Learning programs for at-risk children living in shelters, group homes, residential treatment facilities and recently, Seton Youth Shelter’s Mentoring Children of Prison Programs. Equine facilitated learning (EFL) is a widely accepted alternative mental health intervention, replacing traditional office based, counselor-patient therapy. Based on a six-week, planned program, neglected or abused horses are paired with children identified as at-risk, as well as children with histories of neglect, abuse, or trauma, substance abuse and eating disorders. Marti shared with us the incredible 3-year growth in the program: in 2015 they had 7 rescued horses and served 487 at-risk youth; in 2017 they had 52 rescued horses and served 2,130 at-risk youth. Following her presentation, Hearst officially presented Marti with a check for $1,000 as part of the Club’s 2017 Community Grant program. 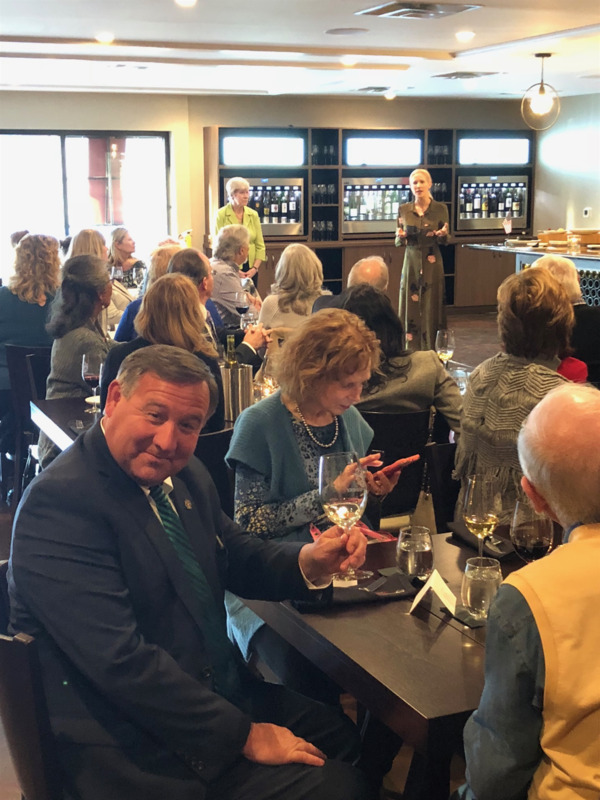 Tom then thanked our club for its consistent support of the Together We Can mission and said that we are one of the few organizations that has helped them every year for quite some time.